Which facial is best for me? 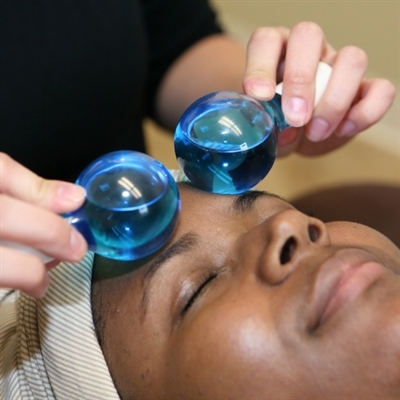 We have so many great facial options, sometimes it can be hard to decide which one is the best choice for your needs! I hope this guide helps to narrow it down for you. Our estheticians are able to customize many services and have no fear, if you select a facial that is not the best choice for your needs, they can often make a last minute change to a more appropriate facial that is the same length of time or can substitute products as needed to customize your service. 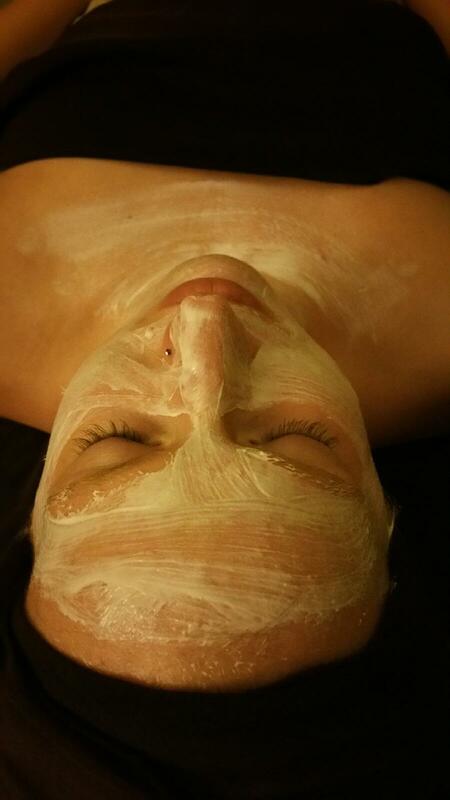 EV Signature Facial: MOST POPULAR FACIAL! Extra relaxation benefits like more massage techniques incorporated, plus a softening honey foot mask and foot massage while the active professional products are working their magic on your face..
Not recommended for: Teens or people without aging skin concerns, anyone with acneic skin, pregnant guests (book our Pregnancy Glow facial instead! ), or anyone who can’t lay on their back for over an hour. Not recommended for: Pregnant guests (book the Pregnancy Glow Facial), guests who do not have cystic or inflamed acne, or guests who are already under a dermatologist’s care for their acne. Best for: Everyone! This is a great option if you aren’t sure you are the right candidate for our more clinical facials or as a consultation facial if you are considering peels. 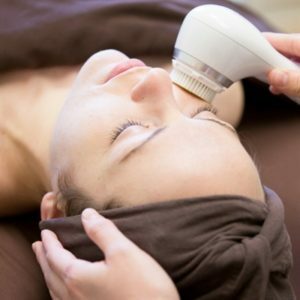 Not recommended for: This is a great facial for everyone, but if you are pregnant, please schedule a Pregnancy Glow facial so we can be sure you are scheduled in the room with an incline table. A quick 30 minute cleanse, mask, moisturizing facial that includes professional skincare recommendations. Does not include extractions or exfoliation. Best for: Anyone in a time crunch, someone just wanting an introduction to the Rhonda Allison line or professional product recommendations. Can serve as a good consultation facial before scheduling a peel service. This is a great starter service for younger teens. 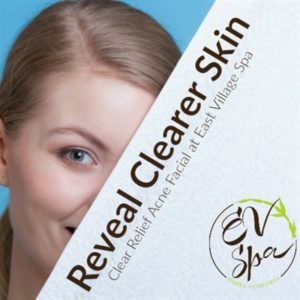 Not recommended for: Someone wanting to address multiple skin concerns as there aren’t many corrective products (like exfoliants or masks) used in this facial, someone looking for a more pampering and indulgent service. We recommend scheduling the Wellness or EV Signature Facial. 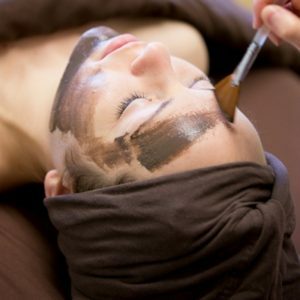 An hour-long pampering, pregnancy safe facial that addresses a variety of skin needs from changing hormones. Performed on a treatment table that allows our guest to rest with her head elevated. 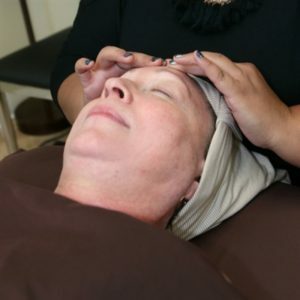 Best for: Pregnant guests, this is the facial we require our pregnant guests to schedule as we can be sure the products are safe and that we have the service scheduled in a room with a table that allows our pregnant guests to rest in an inclined position. Not recommended for: Anyone who isn’t expecting. However, if you have a concern laying flat on your back during another facial, mention this at booking and we can reserve this room for you! Click the title of any facial we’ve described in this post or click here to book your customized facial with our experienced and licensed Estheticians at East Village Spa! This entry was posted in Frequently Asked Questions, Skin, Skin Care and tagged facial, FAQs, Skincare by Cassie. Bookmark the permalink.